Macedonia’s illegitimate Parliament speaker Talat Xhaferi in an interview with AlSat admitted himself, Zaev, Oliver Spasovski, Zijadin Sela and Ali Ahmeti held a meeting on April 24th in which their activities for the 27th were discussed. The illegitimate Parliament speaker went on to say that they knew there would be people storming Parliament, hence it was decided Ali Ahmeti not to be present inside Parliament. “We knew people will enter Parliament. I met with Zaev, Spasovski, Sela and Ahmeti to discuss our steps for the 27th. It was decided Ahmeti to skip the session out of concern for his safety” stated Xhaferi for AlSat Tv. 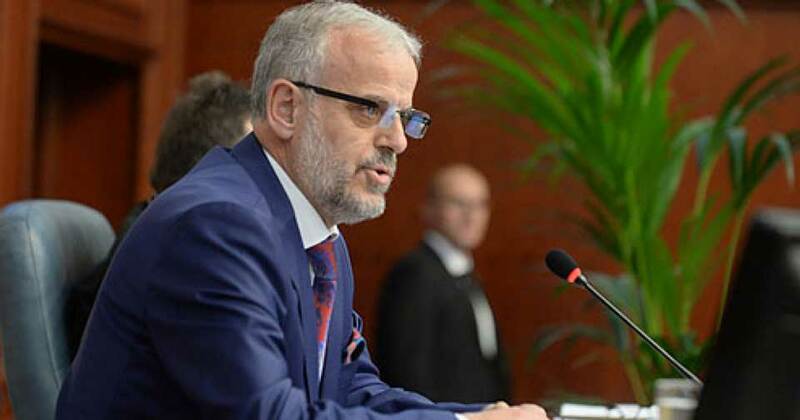 The SDS and DUI did not have the necessary votes neither to elect Xhaferi nor to form Parliament, as at least 8 MPs from SDS and DUI fearing for their safety were not present. Therefore, the most votes they could have had were 57, while 61 were needed. This means both the formation of Parliament ‘majority’ and Government is illegal, meaning any laws or regulations brought in by the current Parliament and Government are illegal. What is even more disturbing is the fact DPMNE MPs and dozens of protesters have been jailed for an event that was organized by SDS and DUI police structures. Meanwhile, Sela’s Government participation has been reduced by 1 MP. Zijadin Sela admitted one of his MPs has crossed into DUI and AA is now left with 2 MPs. It’s also said that Sela will no longer have Minister of Health, as the role will go likely to Zaev’s close friend Venko Filipce.